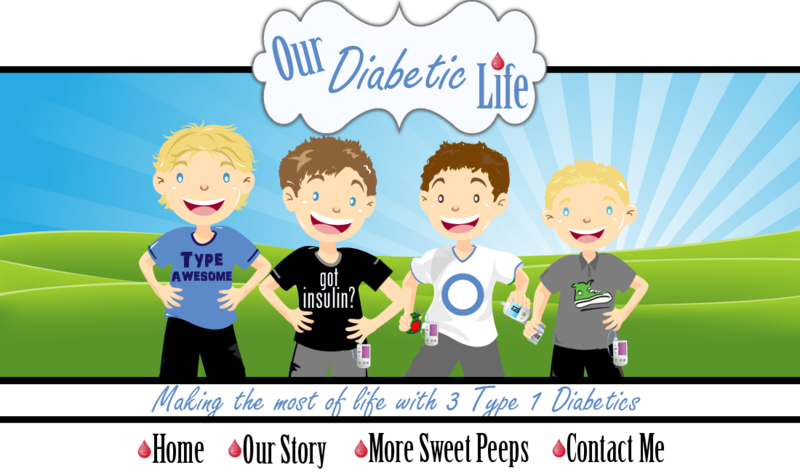 Our Diabetic Life: By small and simple things, great things are brought to pass. By small and simple things, great things are brought to pass. “By small and simple things, great things are brought to pass.” It’s a quote that I hear a lot at church, and one that I wholeheartedly believe to be true. Case and point, two or three days a week my sister in law spends the night and checks the boys sugars at midnight for me. Often more than just midnight. I know that she is generally a night owl anyway, and some nights would be up anyway, but I also know that there were many nights she lost hours and hours of sleep to make sure the kids were safe for me. Sometimes the act might have been small, other times a huge sacrifice on my behalf. For whatever reason, the past couple weeks have been on the crappy side diabetes-wise. Mostly the nights have hit me hard. Her coming in and rescuing me from a sleepless night means far more to me than I can express here. Last night when my jaw was aching from an impending TMJ attack, I was able to take a half of a muscle relaxant and sleep hard from 9:30pm to 6:30am. That is in every sense of the word, a miracle. Diabetes is so all encompassing; doing something small to ease another’s burden is akin to parting the red sea. Small things are really huge. Those few minutes of help equate to a more well rounded life for me. A few minute break allows me time to focus on other things this world has to offer. "Just a few minutes?" you wonder. Yes! Just a few measly minutes changes everything. 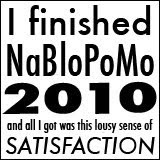 Imagine me running a marathon with 100 pounds of weight on my back. Imagine someone running by and offering to take that 100 pounds for a few minutes. It’s that colossal. This translates also into every aspect of our diabetic life. Technology shaving minutes off a set change? Priceless. A child checking a blood sugar without being reminded? Priceless. A parent insisting a child take the night off and let them handle it? Priceless. Another person saying, “I feel the same way” hence taking away the burden for a few minutes that I’m crazy and really not alone in all this? Priceless. Another parent offering to keep a close eye on my child who has diabetes on a fieldtrip? Priceless. A teacher who keeps extra fruit snacks in her desk just in case my child runs out of low supplies? Priceless. Small things are never small when a hand is extended with help in its palm. My life is complicated, I admit. But I’ve got it. I’ve GOT this. But take a few minutes out of your life to help, or even offer to help? You’ve made my day. I know so many of you think my life has to be so completely worrisome. But here I am living it, and really…it’s a good life. I am blessed. Because what gets me through are the little things, and those small acts of kindness. I have a feeling it's the little things that make the world go round. I know my boys appreciate all the little things I do. 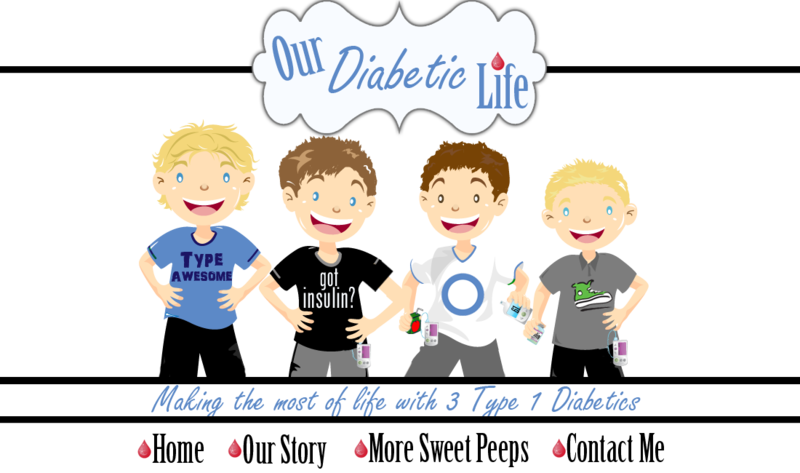 I know your children with diabetes appreciate what you do too. How do I know? Stop doing one of those little things and see if they notice. I know sometimes I don’t help people because I don’t have time for a grand gesture of some sort. I’m sick to my stomach writing that, because if I’ve learned anything the past 20 months it’s this: service of any size is huge. I guess what I'm getting at is I hope tomorrow we all take a minute to do something small for someone else. A smile. Opening a door. Letting someone go in front of us in traffic. Giving that dollar in our cup holder to someone on the corner asking for help. I don't know. I just think sometimes less can be more if we actually get up and do the less. Just food for thought on this late Tuesday night. I’m going to sleep now. I have a sleeping pill on board and have big plans to dream long and hard about someone I know in heaven. THANK THE LORD for your Sister in law!!!! So happy to hear you have someone to back you up, love ya Meri! One additional thing: Actually performing the less feels like much more. Thanks for the reminder. Oh that's a beautiful reminder -- thank you. So glad your sister-in-law gives you some respite! Can I just come live with you so that I can borrow Lisa. I am a night owl too, so mostly, I would keep her company, but MAYBE if I pass out she could fill in. :) PLEEEZE!!! Also, I am a firm believer in small gestures being grander than big ones.